Martha arrived on campus in the fall of 1973, seeing Williams for the first time three days before classes began. Born and raised in Denver, she applied to Williams after a friend described it as “the Ivy League with the nicest people” and came here with the help of a Gates Scholarship and a financial aid package from the college. An art history major, she spent most of her free time directing and performing in the theater, including in several original plays and musicals. She sang with the Ephlats for four years and served as its director. With the support of numerous Williams alumni, she moved to Los Angeles after graduation to become a screenwriter. Today she’s president and CEO of MoonWater Productions, a production company specializing in family and inspirational entertainment. Martha is best known as the executive producer and head writer of “Touched By An Angel,” which received nine Emmy nominations over its nine-year run on CBS. 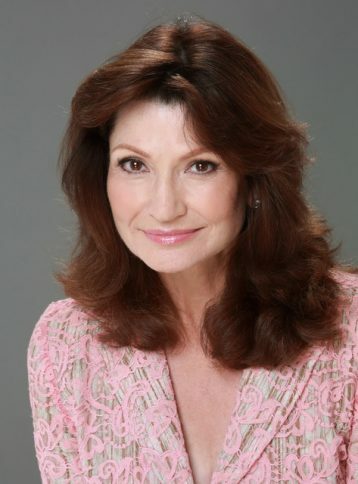 Martha became the first woman to be solo executive producer on two shows simultaneously when she created and executive-produced “Promised Land,” also for CBS. A popular speaker and the author of several books, her current projects include “Signed, Sealed, Delivered,” a dramatic comedy series for Hallmark; “The Chaplain,” a television series in development with Netflix; and a remake of Paul Gallico’s “Thomasina,” set for theatrical release in 2017. Martha’s work has been inducted into the Television and Radio Hall of Fame and received a Producers Guild Nova Award and a Templeton Prize, as well as honors from the U. S. Congress, NAACP, and Anti-Defamation League. A member of the Board of Trustees since 2012, Martha founded the Williams Arts and Entertainment Fellowship with Peter Nelson ’76 in 1991, providing internships and support for students and graduates interested in arts careers, and she oversees the J. Lindley and Louise R. Williamson Scholarship Fund, established in 1995. She has been a frequent guest lecturer for the Winter Study leadership class and a director and playwriting advisor to the Williams Summer Theatre Lab since its inception in 2004. Martha returns every Reunion weekend as producer and performer with the “Re-Ephlats” and the Williams Cabaret. She received the Bicentennial Medal in 2003. Martha lives in Southern California with her husband and their two daughters.